16 participants accepted, on a first-come first-served basis. Please see Level II tab, below, for details. If you are interested in any of our Programs, we’d like to hear from you. Please inform us of your interest. Thanks! 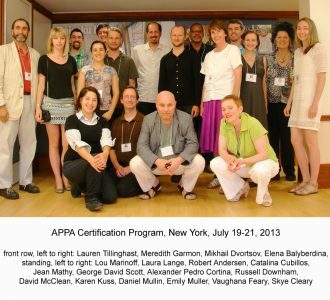 To enroll in the program, it is necessary to become an Adjunct or Affiliate Member of the APPA. 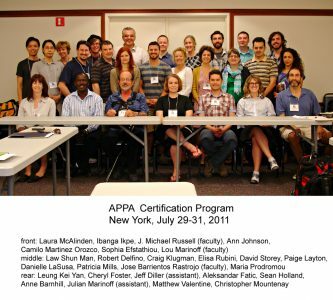 Adjunct Memberships are offered to holders of an earned M.A., ABD or Ph.D. in Philosophy, or Licensura in Hispanic countries. 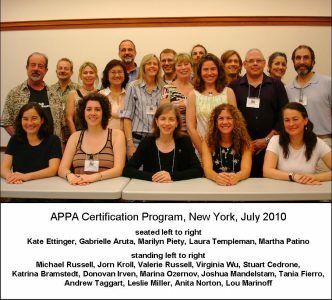 Affiliate Membership are offered to recognized co-professionals in other counseling fields, e.g. law, pastoral counseling, psychiatry, psychology, social work etc. Enrollment is on a first-come, first-served basis. The APPA reserves the right to limit enrollment of Affiliate Members in order to accommodate Adjunct members on a priority basis. Every effort will be made to accommodate all eligible members who wish to participate. Installment option: a deposit of $300 for Adjuncts, and $400 for Affiliates, reserves your place. Balance of $690 for Adjuncts, and $920 for Affiliates, is payable one week prior to the program. Pay-in-advance refund: If cancellation is made up to 2 weeks before the start of a program, payment will be refunded, less a $100 administrative fee. If a cancellation is made within 2 weeks of the start of a program, payment will be refunded, less a $200 administrative fee. Installment refund: If cancellation is made up to 2 weeks before the start of a program, deposit will be refunded, less a $100 administrative fee. If a cancellation is made within 2 weeks of the start of a program, deposit will not be refunded, but can be applied to future program. There are required readings for the program, which are in English. The readings will be mailed to participants, at no charge, when they enroll. There is also a required textbook, whch must be purchased. Participants are responsible for their own travel and accommodation. Session leaders: Vaughana Feary and Lou Marinoff. Vaughana Feary, Ph.D., taught philosophy and interdisciplinary Humanities at Southern University in New Orleans from 1979-1987. 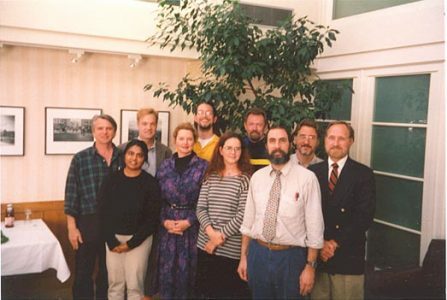 From 1987-2000 she taught Philosophy and Women’s Studies at Fairleigh Dickinson University in Madison, NJ. She is a founding Vice President of APPA, past President of the ASPCP, President and CEO of Education Inc., and Program Director for Excalibur Center for Applied Ethics. She has pioneered programs for correctional facilities, hospitals, and corporations, and has published seminal articles and book chapters. Lou Marinoff, Ph.D. is Professor and Chair of Philosophy at the City College of New York. He is founding president of the APPA. He has served as Faculty of the Institute for Local Government (University of Arizona), and the World Economic Forum (Davos and Geneva). Lou has authored several books, including Plato Not Prozac (HarperCollins, NY 1999), Philosophical Practice (Academic Press, NY, 2001) The Middle Way (Sterling, NY 2007), and The Inner Philosopher (with Daisaku Ikeda, Dialogue Path Press, Cambridge, MA, 2012). Lauren Tillinghast, Ph.D. opened a private philosophical counseling practice in 2007 located in New York City. Before that, she received her doctorate in philosophy from the University of Chicago in 2000 and taught at Knox College and the University of Pittsburgh and the University of Chicago. In addition to running her practice, she currently teaches philosophy for adults through NYU’s School of Continuing and Professional Studies. 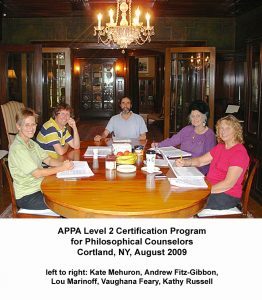 The Level I program gives practitioners the necessary tools to build a counseling practice, along with primary APPA certification. 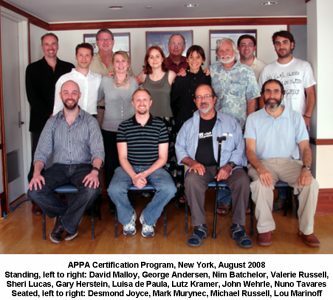 The Level II program provides detailed feedback on case studies, along with full APPA certification. 3) submission of ten written case studies, in conformity with Level I guidelines (see guidelines here), Each case study should be a minimum of 750 words, and preferably 1,000 or more words. 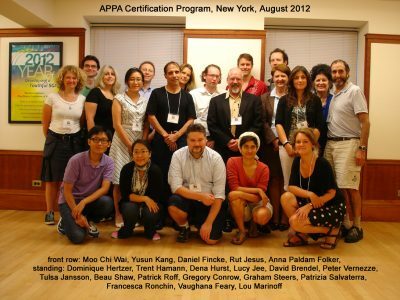 Suitable case studies may also be considered for publication in Philosophical Practice: Journal of the APPA. — $300 with submission of completed questionnaire and case studies, plus $300 upon completion of evaluation and consultations. 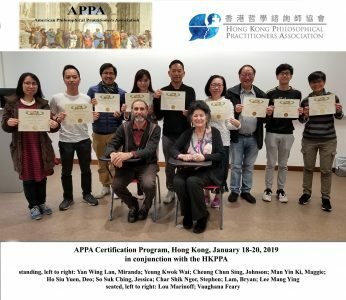 After the above requirements are met, the candidate’s case studies will be evaluated by one or more members of APPA’s faculty, who will then arrange consultations to discuss them. The consultations will total approximately 5 hours, and may be scheduled in person, via telephone, or via video conferencing, depending on locations of candidate and faculty member(s). The consultations will be utilized to provide constructive as well as critical feedback on the submitted case studies, and to answer any questions raised by the candidate. NB: Please allow 3-6 weeks between submission of required materials and commencement of consultations. 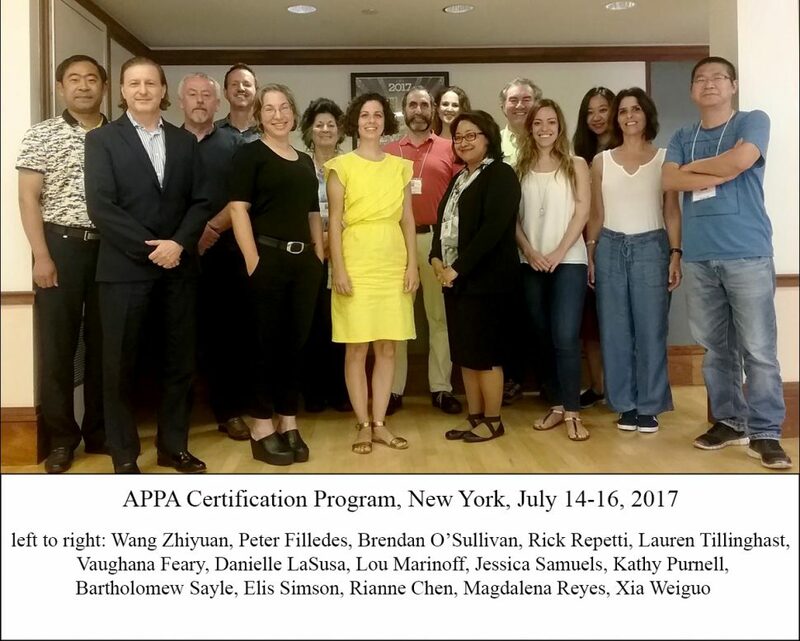 Once the consultations are completed, the candidate will be granted Full APPA Certification, and a new Certificate will be issued. 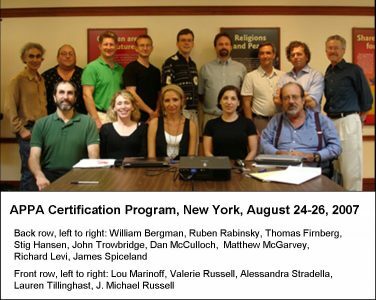 This two-day program is open to Adjunct and Affiliate members, as well as Certified members in other areas. Organizational cultures, whether governmental, corporate, professional or educational, are prone to confronting their employees, at all levels, with ethical quandaries and moral dilemmas. Philosophical practitioners apply pro-active methods to addressing moral issues in organizations, in real time. One such method was developed by Professor Henk van Luijk at Nijenrode University (the “Harvard Business School” of Holland), as part of a more extensive program involving integrity issues in organizations, in cooperation with the European Institute for Business Ethics. Henk van Liujk and his group of trained philosophical consultants have applied this method very successfully in numerous private companies, professional associations and government organizations in the Netherlands. 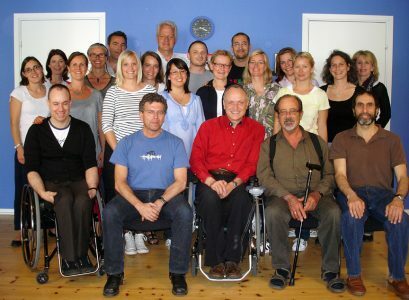 Subsequently, well-known Dutch practitioner and APPA Faculty member Ida Jongsma has applied this method with success across a similar spectrum of client organizations in Holland and throughout Europe. Ida has trained a number of APPA-Certified consultants in this method. 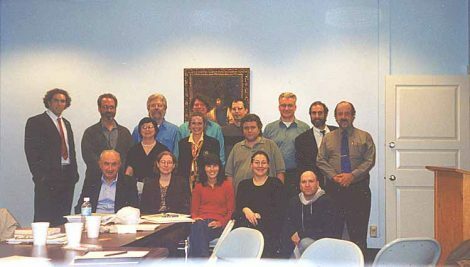 Lou Marinoff learned the Dutch method from Ida, and has adapted it successfully to a similar variety of client organizations world-wide, from the US to Europe, from Latin America to South East Asia. The Program consists of two full days (9:00 a.m. to 6:00 p.m.), during which both the method and guidelines for applying it will be presented to and discussed with the participants. Day One covers the original seven-step method developed and applied by Prof. van Liujk. Day Two covers a variation on the method developed and applied by Prof. Marinoff. Enrollment is restricted to eligible APPA Members. Enrollment will be limited to 18 participants. 1. Pay-in-advance option: The program fee is $600 ($USD). 2. Installment option: A deposit of deposit of $300 secures a place. The balance of $390 is payable a week prior to the program. 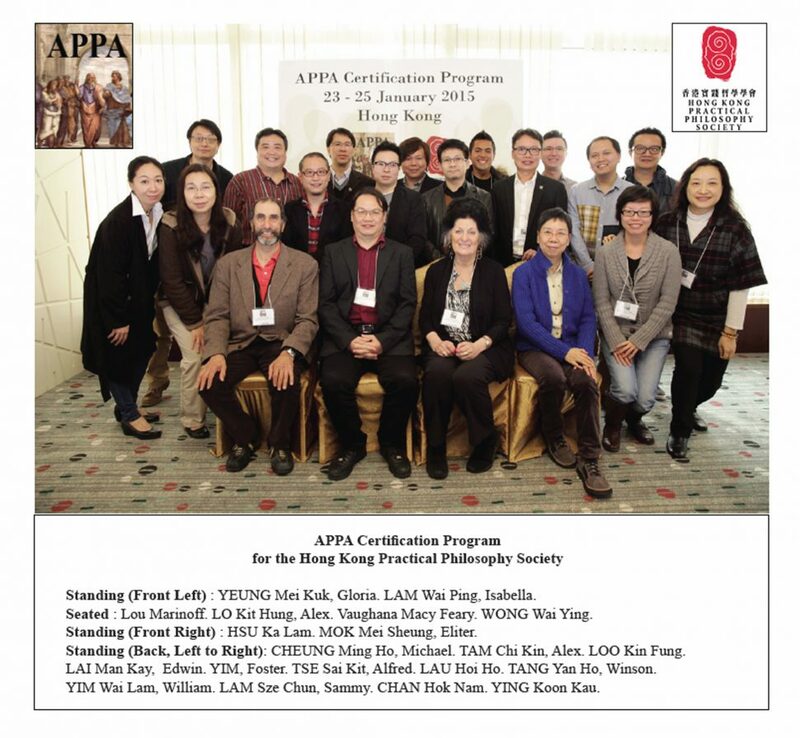 Participants who complete the program will become APPA-Certified Members (or cross-Certified Members, or Certified Affiliates, as the case may be). 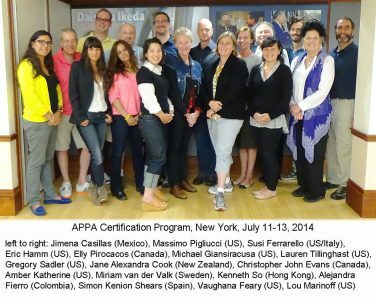 Certified Members are listed in the APPA on-line directory, among other privileges accorded. 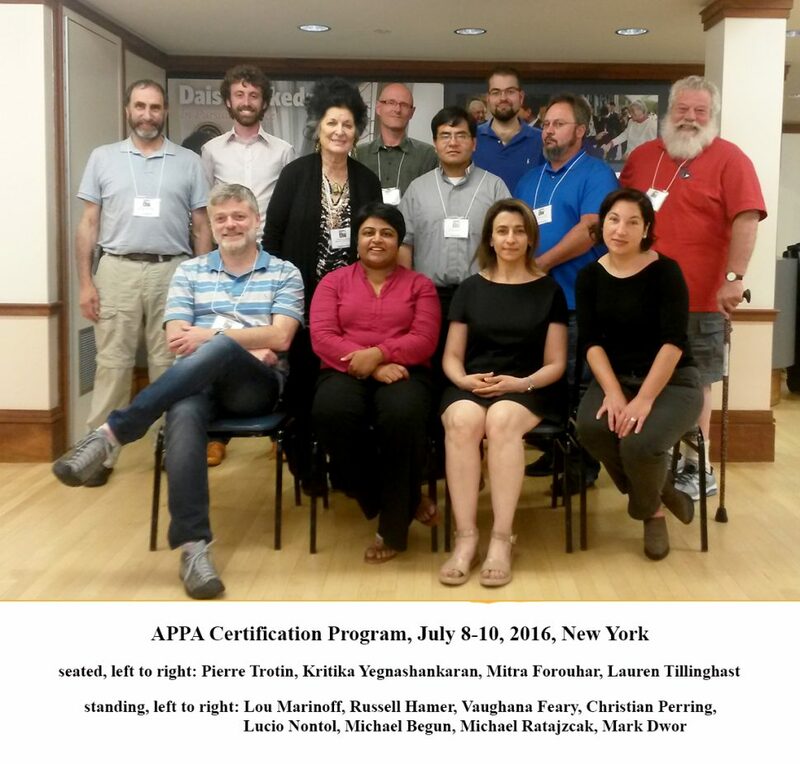 To become an APPA Certified Facilitator, you must participate in a two-day Facilitator Training Dialogue. To qualify for the Training Dialogue, you must participate in two full Socratic dialogues (a full Socratic dialogue requires two days to complete). 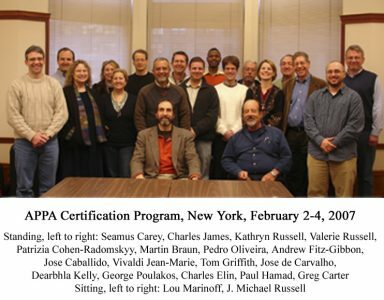 A good way to participate in a Socratic dialogue is to organize one yourself, in conjunction with an APPA Certified Facilitator who will lead it. Alternatively, you can wait for APPA to organize one. 1. Gather a group of 6-10 interested people. 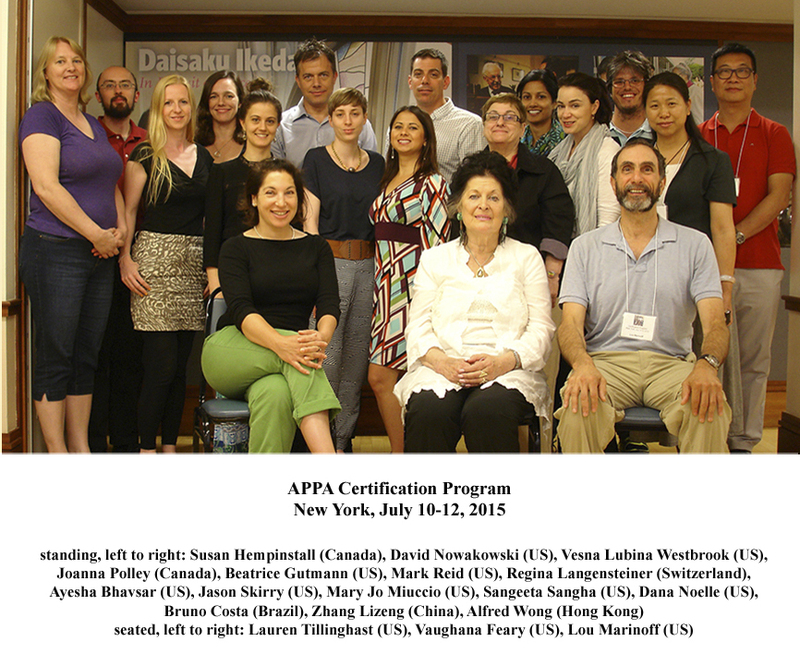 To find an APPA Certified Facilitator, see Practitioners. To read more about Socratic dialogue, please see the next tab. 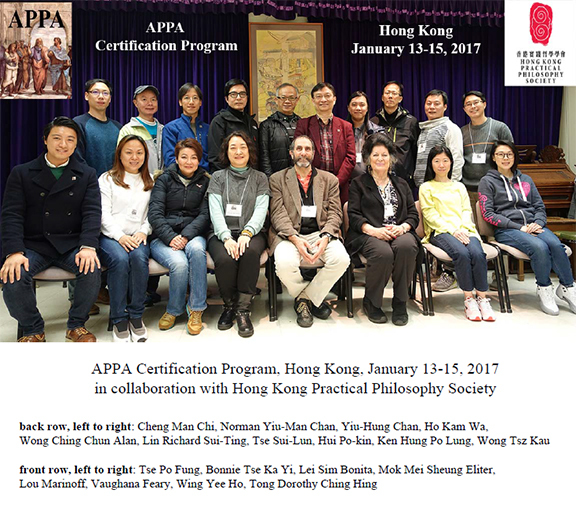 The two-day Socratic dialogue is open to all APPA members, in every category. The ideal number of participants is between 6 and 10. 2. Installment option: A deposit of deposit of $300 secures a place.The balance of $390 is payable a week prior to the program. 1. What is a Socratic Dialogue? Socratic dialogue is a formal method by which a small group (5-10 people), guided by a facilitator, finds a precise answer to a universal question (e.g. “What is happiness?”, “What is integrity?”, “Can conflict be fruitful?”, etc.). Socratic dialogue is not to be confused with the so-called Socratic (or elenchic) method, developed in Plato’s writings, by which Socrates often helped people discover contradictions in their attempted definitions of universals. By contrast, Socratic dialogue helps a group to discover what something is, as opposed to what it isn’t. The method of the Socratic dialogue is as rewarding as its goal. It involves group decision-making by consensus, which is distinctly unlike most other modalities of group function. To begin with, since the Socratic dialogue is neither a debate nor any other kind of competition, there are no winners and losers. While the group as a whole will either succeed or fail to reach the conclusion of the dialogue in the allotted time, every stage in that process is attained by consensus. Thus every relevant question, doubt, insight, observation or objection offered by a participant is considered by the group as a whole, until everyone is satisfied by the deliberation. The method of decision-making by consensus stands in obvious and sharp contrast to other group modalities, whose failings are clear to all who labor under their imperfections. A debate may serve to exercise quick wit, rhetorical skill and persuasive power, but the debaters are engaged in a contest whose winner may have defended a deleterious position. A ballot-box may serve to measure the opinion of a majority, but the voters rarely touch on the essence of the issues at stake. A hierarchical chain-of-command serves to have orders carried out, but these cannot usually be questioned or discussed. And the bane of academic and political life is surely the committee, a group constituted to make decisions, yet notoriously characterized by divisiveness, acrimony, third-man scenarios, and other unsatisfactory or unwholesome compromises. Small wonder that received methods of group decision-making tend to produce discord rather than accord. They factionalize rather than universalize. Truth is sacrificed to expediency; consensus is dispatched by timekeeping. Such methodologies are flawed, and prone to engender dissatisfaction. By contrast, Socratic dialogue anticipates dissent, and transforms it into consensus. The method of consensus debars gross imperfections from a Socratic dialogue. The virtues of patience, tolerance, attentiveness, thoughtfulness and civility prevail. There is also time for emotion to ebb and flow, to wax and wane in the context of larger group dynamics. 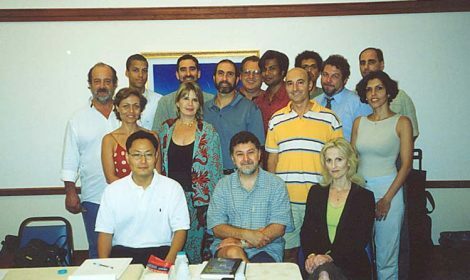 As the participants in a Socratic dialogue engage in its process, they begin to realize that it is neither a debate, nor an election, nor a hierarchy, nor a committee meeting. It is a cooperative search for a universal truth, which will be discovered, if at all, by the group. The closest equivalent to this method is jury deliberation. 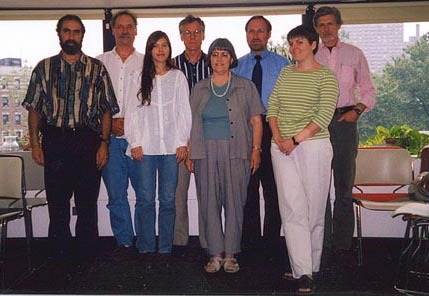 A jury also strives for consensus, and is free to deliberate at length. Jury members must entertain and overcome any reasonable doubt before expressing a conviction; so too must participants in a Socratic dialogue, before articulating a universal definition. Yet differences are also plain. No person is on trial in a Socratic dialogue; rather, an impersonal truth is the subject of a quest. The participants are bound by wholly different rules – not rules of law, but rules of rational discourse. The group itself will offer evidence, will decide what evidence it wishes to weigh, and will produce and examine all its witnesses from within. In contrast to the jury, which passively submits to a trial then delivers its verdict, the Socratic dialogue actively produces both the equivalent of a trial and a verdict. The Socratic dialogue is entirely self-contained. There are three levels (or orders) of discourse in a Socratic dialogue: first, the discourse of the dialogue itself; second, strategic discourse about the direction or shape of the dialogue as it unfolds; third, meta-discourse about the rules governing the dialogue. The facilitator plays no contributory role in the actual first-order discourse; he simply transcribes the proceedings at each stage, according to the prescribed structure (see next section). The facilitator plays a minimal role in second-order strategic discourse; but he may (if asked) offer some suggestions about viable strategies. The facilitator does play a role in third-order meta-dialogue. A meta-dialogue may be requested at any time, by any group member who seeks clarification about a rule or any other matter governing the dialogue as a whole. The facilitator is responsible for answering meta-dialogical questions. The facilitator may also initiate a meta-dialogue at any time, if in his judgment some procedural point requires clarification. Thus the facilitator of a Socratic dialogue is like the conductor of an orchestra: he has no explicit voice in the score, but has a meta-voice in conducting the performance. The Socratic dialogue has a very specific symmetric structure, which may be likened to the shape of an hourglass. It is widest at the top and bottom, and narrowest at the waist. One begins at the top, with the universal question under consideration (e.g. “What is integrity”). Each member of the group is then asked to summarize an example from his or her own experience, which purports to embody or otherwise to illustrate the universal in question. The group may freely question each person’s example, to further its understanding of that particular experience. Examples should be first-person accounts, closed in time, not too emotional, and as simple as possible. Even the simplest examples can lead to considerable complexity under dialogical analysis. The group then chooses one of the examples as the focus of the dialogue. The chosen example becomes the principal vehicle for the process. An example having been chosen, the person who offered it then gives as detailed an account as possible, which is subject at each step to questions by the group, which seeks to elaborate and understand the example in as much detail as necessary. The facilitator transcribes, numbers, and displays each step of the example, so that the group has a written “history” that it can continuously consult. The group must then determine exactly where in the example the universal is manifest. E.g. If the question is “What is integrity?”, then the group must determine where lies the integrity in this example. At what step or steps does it occur? Between or among which steps does it occur? And so forth. Following this, the group must decide on a definition of integrity that adequately describes the thing they have located in the example. The consensual articulation of this definition brings the group to the narrow waist of the hourglass. The universal under consideration has now been particularized. This is the mid-point of the conceptual structure (and roughly the mid-point of the temporal structure) of the dialogue. From here the dialogue begins to broaden. The working definition is re-applied to each of the other examples, which were not elaborated but which have been summarized, transcribed and displayed. If the definition is truly universal, then it will suit each example; if not, then it must be modified accordingly. At the final stage, toward the bottom of the hourglass, the group will then offer counter-examples, trying to undermine or falsify their definition. Modifications are again made if necessary; if not, then the group will have succeeded in its quest. You need not be a philosopher, nor have philosophical qualifications, to participate in a Socratic dialogue. An appealing presupposition of the dialogue is that universal truths are grounded in our particular experiences. The purpose of the dialogue is to reach the universal from the particular. There is never any reference made, nor need there be any reference made, to philosophical literature. The chosen question is answered not by citing what Plato or Nietzsche thought about it, but by discussing what the members of the group experienced of it. We all have experiences, and we can all think for ourselves. Reference to published works is not admissible in a Socratic dialogue; reference to concrete personal experience is what counts and suffices for the purpose. In the realm of philosophical arts, the synthesis of plural experience can capture more truth – and therefore greater universality – than that of the ruminations of any single intellect, no matter how great in stature. The dialogue is a symphony, not a solo. So the best preparation is an open mind, and a good example (if the question is known beforehand). Questions of the form “What is X?” tend to work best. Thus “What is integrity?”, “What is happiness?”, “What is liberty?”, and “What is justice?” are all good candidates for a Socratic dialogue. 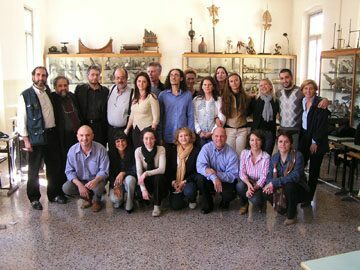 The group is encouraged to select its question beforehand if possible, in consultation with the facilitator if need be. The question having been chosen, each group member should think of an example from his or her own life which illustrates or embodies the sought-after universal. Again, a viable example will have the following properties. It should be closed in time; that is, its ramifications should have settled. It should not be too emotional – otherwise, reasoned discourse may be imperiled. It should be as brief and simple as possible. It should be a first-person example, about which the exemplar is willing to answer detailed questions from the group. Participants are encouraged to think of their examples beforehand. While the facilitator is responsible for guiding the group through the dialogue, each participant is asked to abide by the following rules, which if followed conduce to a rewarding experience. 2. Be attentive to others. 4. Ask no hypothetical questions. 5. Make no references to published works. 1. Should be a first-person experience. 2. Should be closed in time. 3. Should not be too emotional. 5. Exemplar should be willing to answer questions. 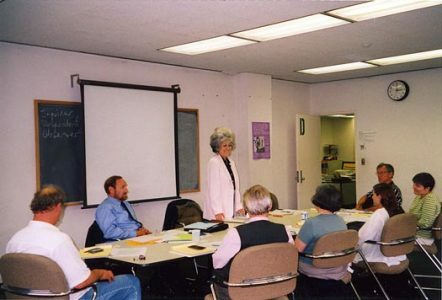 This two-day program is designed for Auxiliary Plus Members; that is, members who have a B.A. degree with a Major in Philosophy. Many graduates who major in Philosophy enter other professions, or take up graduate work in other disciplines. They are often dissuaded from pursuing graduate degrees in Philosophy because of a notorious lack of career opportunities for Philosophers. At the same time, most graduates who major in Philosophy never lose their taste for it; they just get busy with other things — like earning a living or raising a family. 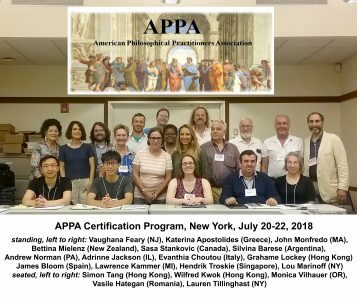 The Well-Shod Philosopher program is conceived to rekindle former passion for philosophy, and to make philosophy more relevant to everyday life than former classroom studies ever did. Well-Shod Philosophers are empowered to cultivate philosophy not only for themselves, but vitally among their families, friends, and communities, thus making a real difference where it counts: at the grass-roots. Each two-day Well-Shod Philosopher program will treat a special theme from a time-honored wisdom tradition, such as Buddhism, Daoism, and Stoicism. Participants will learn to apply these systems to their everyday lives. Participants will receive Certificates of Completion, and merit badges for the particular theme of their program. 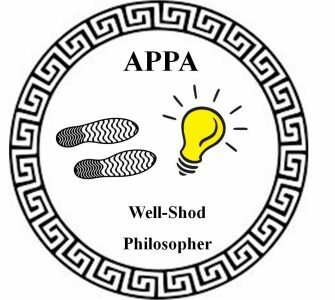 They will also be listed as Well-Shod Philosophers on APPA’s website. 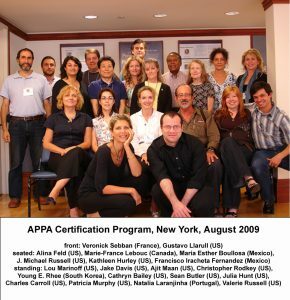 Programs are led by experienced and renowned APPA faculty. This two-day program is designed for Auxiliary Members. There are no prerequisites; just bring your own mind. In a culture of increasing thoughtlessness, governed by slogans, tweets, and mojis, it is vital that ordinary citizens become more philosophical. Barefoot Philosophers are empowered to cultivate philosophy not only for themselves, but vitally among their families, friends, and communities, thus making a real difference where it counts: at the grass-roots. Each two-day Barefoot Philosopher program will treat a special theme from a time-honored wisdom tradition, such as Buddhism, Daoism, and Stoicism. Participants will learn to apply these systems to their everyday lives. Participants will receive Certificates of Completion, and merit badges for the particular theme of their program. 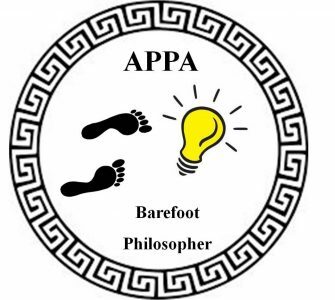 They will also be listed as Barefoot Philosophers on APPA’s website.